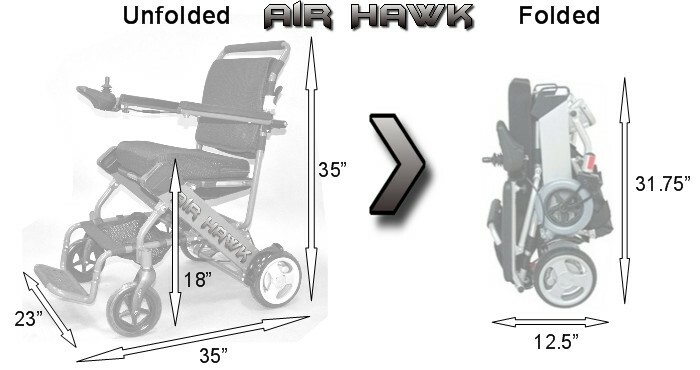 The Air Hawk Is Easily The World's Lightest Power Wheelchair, Weighting Only 41 Pounds. 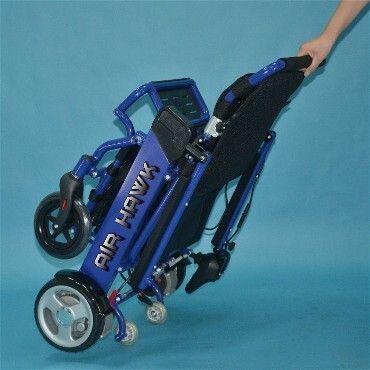 The Air Hawk Portable Power Wheelchair Easily Folds Into A Small Compartment With A Width Of Only 12.25 Inches Allowing It To Fit In The Trunk Of 'Any' Car And Can Be Taken On A Plane As Carry On Luggage. 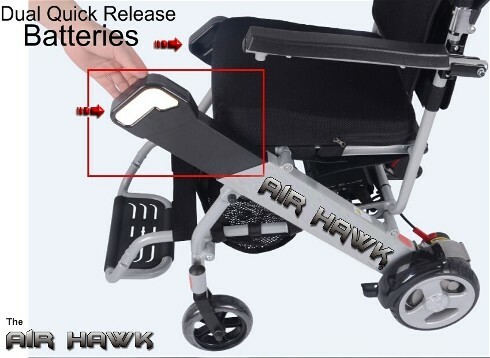 The Air Hawk Foldable Wheelchair is Made Of A Light Aircraft Quality Aluminum Alloy Making It Very Strong As Well As Very Lightweight. 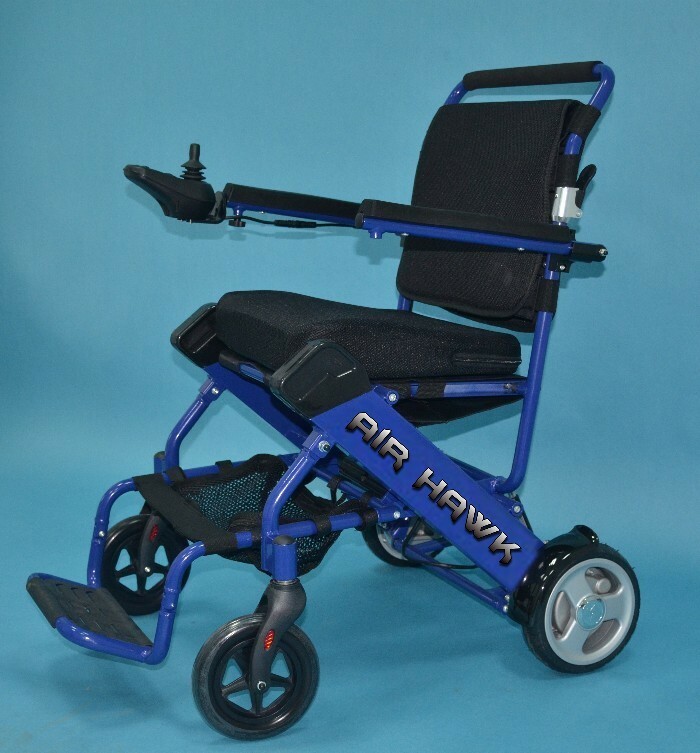 Constructed Of A Lightweight Aluminum Alloy The Air Hawk Lightweight Power Wheelchair Has Given Many People The Freedom To Travel. The Air Hawk Will Fit In The Trunk Of Any Car And Weighs Less Than Most Luggage. 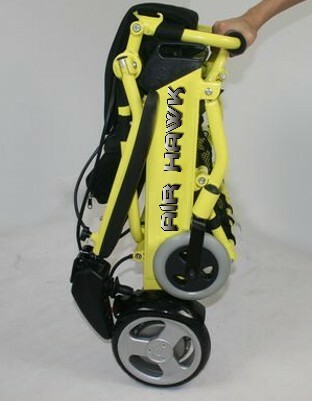 Taxi Drivers Have No Problem With The Air Hawk, They View It Just Like Luggage. 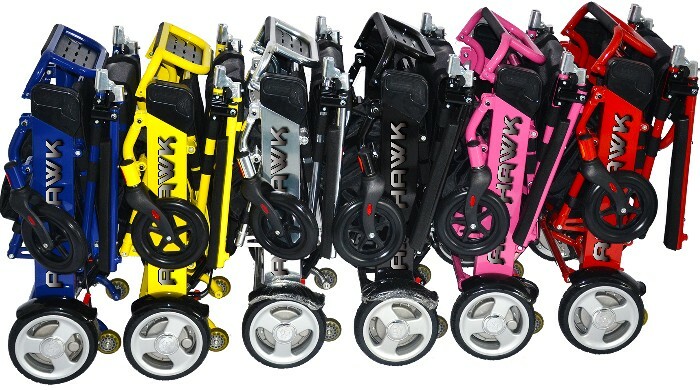 The Air Hawk Folding Electric Chair Has Two High Performance Hub Motors As Well As Anti Tip Wheels Allowing The Air Hawk Folding Electric Wheelchair To Take On Steep Inclines & Hills Safely And Effortlessly. 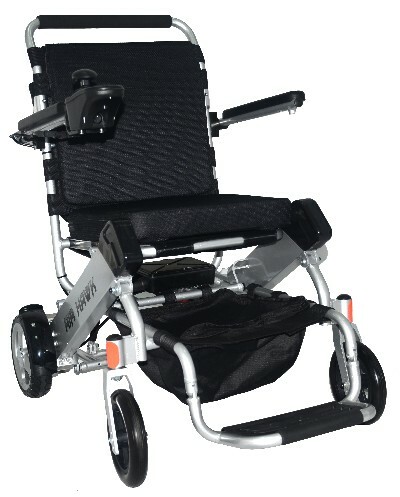 Also The Air Hawk Lightweight Power Wheelchair Is The Only Folding Electric Wheelchair With A Built In Battery Backup So You Will Never Be Caught Out Needing A Charge And Waiting Several Hours Before You Can Continue What Ever It Is You Need To Do. Lightweight Portable Scooters Have Been Available For Some Time Now Yet Their Are Many People That Do Not Have The Ability To Drive A Scooter As It Requires The Ability & Strength To Steer Similar To A Bicycle. 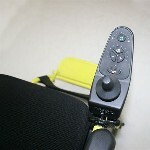 The Air Hawk Lightweight Electric Chair Utilizes A State Of The Art Joystick Controller That Allows A User To Navigate And Drive The Air Hawk Lightweight Electric Wheelchair Using Only One Finger. Weight 41 Pounds 19 kg. Max Capacity 264.5 pounds 120 kg. Unfolded Dimensions (LxWxH) 35 in. x 23 in. x 35 in. 89 cm. x 59 cm. x 88 cm. Folded Dimensions (LxWxH) 31.75 in. x 23.25 in. x 12.25 in. 72.7 cm. x 56.8 cm. x 31.1 cm. Seat Dimensions (L x W) 16.75 in. x 16.75 in. 42.5 cm. x 39.7 cm. Seating Height (from ground) 20 in. 50.8 cm. Arm Rest Height (from ground) 28.25 in. 71.75 cm. Turning Radius 27.3 in. 69 cm. Distance on Full Battery 26 miles 41.6 km. Ground Clearance 3.9 in. 10 cm. Front Wheels (diameter x width) 6 in. x 2 in. 17.1 cm. x 5.1 cm. Rear Wheels (diameter x width) 8 in. x 2 in. 20.3 cm. x 5.1 cm. 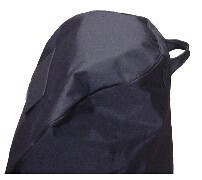 Protect Your Air Hawk From Damage When Traveling Or Transporting By Using The Heavy Duty All Weather Nylon Cover. 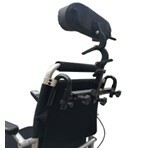 Included At No Charge When You Purchase Your Air Hawk Portable Folding Power Wheelchair. 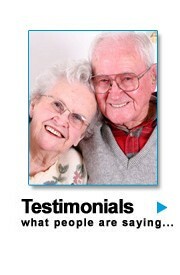 Finding it difficult getting to stores, or gatherings with your loved ones? 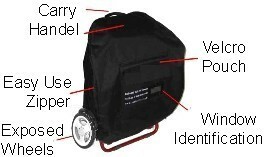 * Lightweight & Durable Based on Independent Lab Testing Folds Very Quick & Is Extremely Compact for Storage. 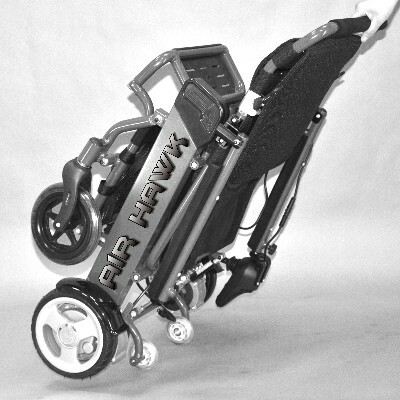 The Air Hawk Light Power Wheelchair Folds In Seconds To Only 12.25" x 23.25" x 31.75" And Only Weighs 41 Pounds With A Weight Capacity Of 264 Pounds. The Average Power Wheelchair Weights 421 Pounds And Must Be Transported Using A Hydraulic Lift. 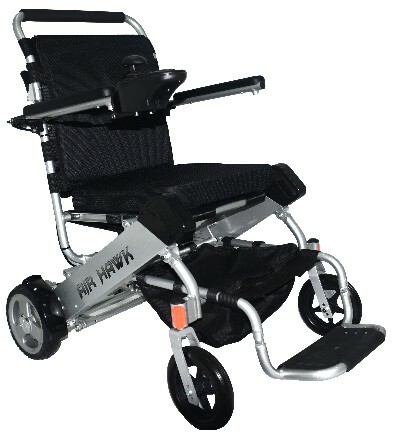 With The Air Hawk Lightweight Power Electric Wheelchair Weighting Only 41 Pounds You Can Now Have The Freedom to Take Your Air Hawk Lightweight Electric Wheelchair Any Where And In Any Vehicle You Need. 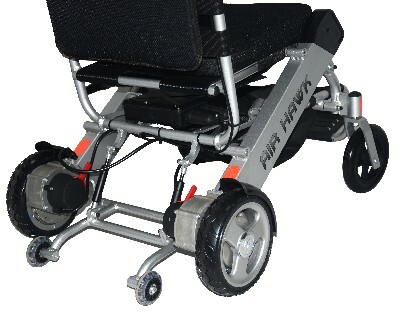 Any Car, Mini Van, Suv, Truck They Are All Suitable To Transport The Air Hawk Lightweight Power Wheelchair Wheelchair. Two High Performance Lithium Batteries Providing Both HD Hub Motors With All The Power Required To Take Heavy Loads Up High Inclines And Proving A Total Range Of 26 Miles. 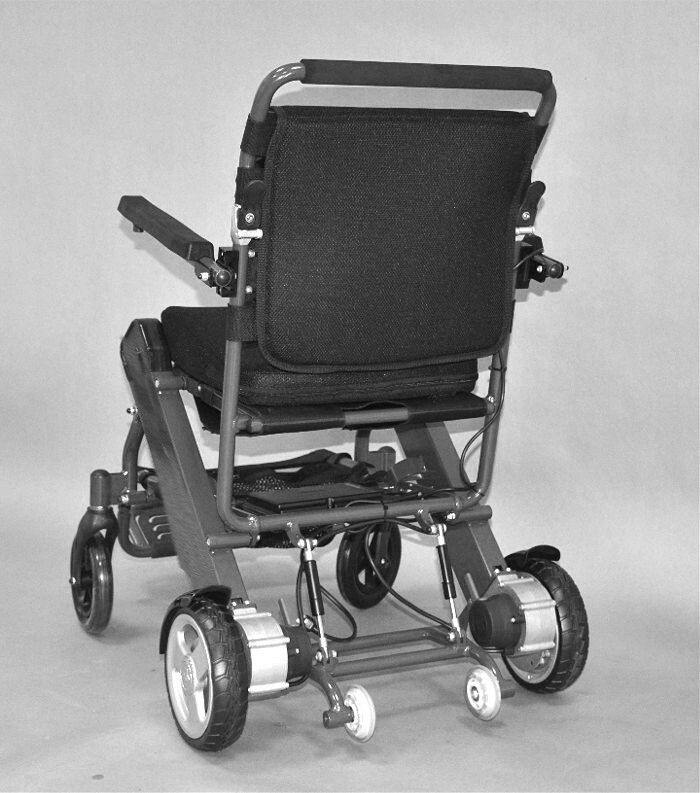 Having A Second (Extra) Battery Also Gives You A Piece Of Mind Knowing If One Fails The Other Battery Is All That Is Required To Continue Operating Your Air Hawk Traveling Wheelchair. Traveling Has Never Been Easier As The Air Hawk Traveling Electric Power Wheelchair Is Recommended By Many Major Airlines & Cruse Lines Throughout The World. 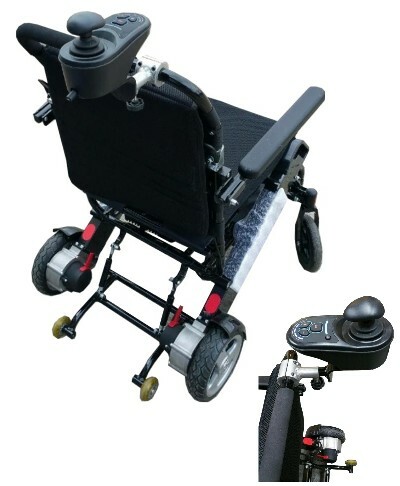 You Will Find That Their Are Many Portable Scooters, However Many People Are Unable To Use A Scooter And Need A Traveling Wheelchair With The Joystick Controller. 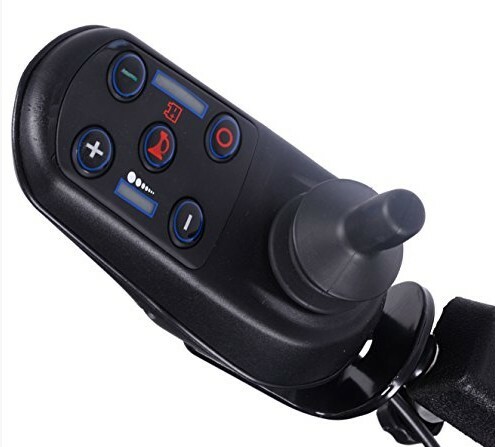 The Air Hawk Lightweight Power Wheelchair Has A Universal Joystick Control That Can Easily Be Moved From Left Arm To Right And Back Again In Under A Minute. 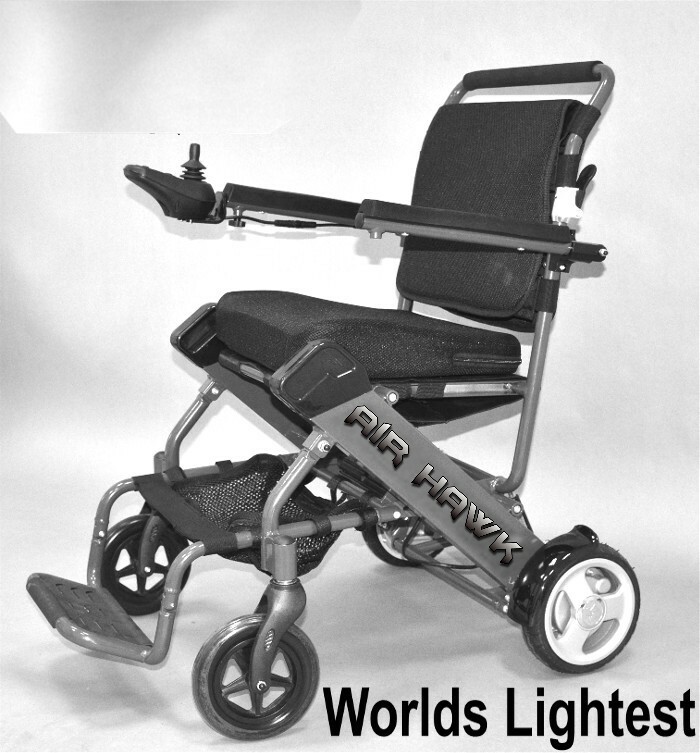 The Air Hawk Traveling Wheelchair Is Truly The Worlds Lightest Traveling Power Wheelchair Weighing Only 41 Pounds. 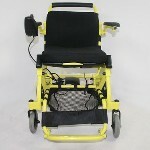 The Lithium Batteries And The Air Hawk Traveling Wheelchair Are Both FAA Approved In Addition To Being UN Certified. 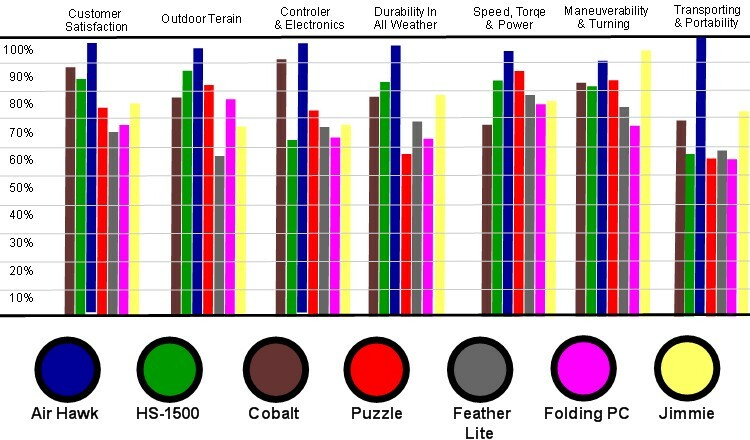 The Air Hawk Lightweight Power Wheelchair Has A Durable High Quality Automotive Finish That Is Extremely Resistant To Scratches & Chips, However In The Event You Would Like The Ability To Touch Up Scratches If They Should Occur Over The Years We Have Made Touch Up Paint Available Free With Every Order. The Air Hawk comes with a full 2 year warranty. The first year parts & labor and second year is parts only. Warranty is on defective parts only. Now available, the optional Independent Charger. 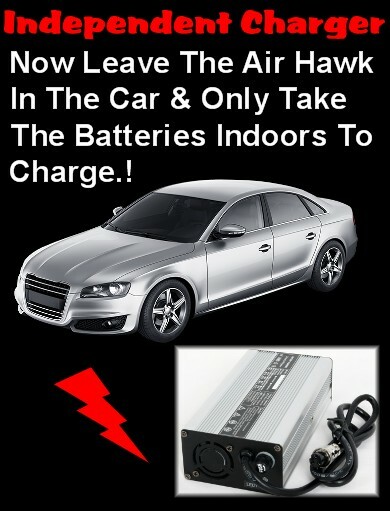 The Air Hawk comes standard with household charger and a free automotive car charger, however now you have the option of ordering a independent charger that allows you to charge the batteries of the Air Hawk independently, allowing you to leave your Air Hawk in your car and giving you the freedom to charge your batteries without requiring your Air Hawk Wheelchair itself. 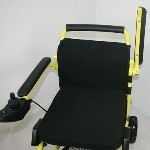 The Air Hawk is available with optional attendant control "bracket" allowing a health aid or attendant to move the controller from the arm to the back giving them the ability to operate the chair while walking behind the Air Hawk and patient or handicapped individual is in the wheelchair. Their are some handicap individuals that simply are unable to operate a wheelchair themselves and it is for that reason the optional attendant controller is available. The Air Hawk has a five star accreditation with four different international organizations including Medical Merchants Union and has won both first place engineering as well as construction awards. 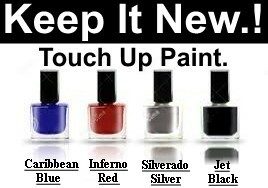 The Air Hawk is available in six durable automotive quality high gloss colors. 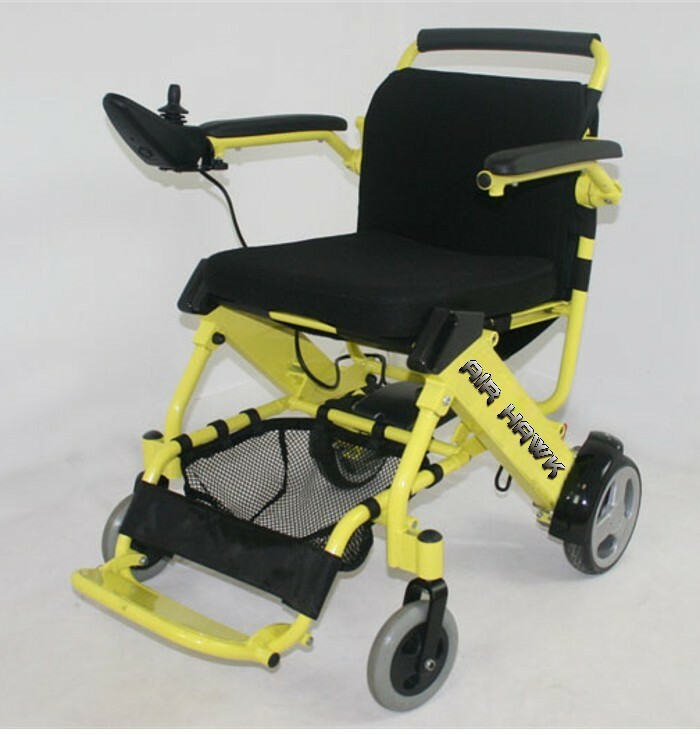 The Air Hawk is equipped with two high performance Hub Motors with the ability to freewheel or go into neutral so that it could be used to manually push a individual from the back if desired. 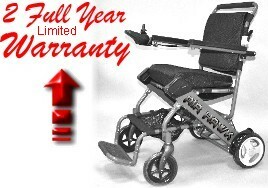 Your new wheelchair comes with a full One Year In Home Service Warranty and a second year covering parts only. Stop worrying about who would repair your wheelchair or how you would get your wheelchair to them. 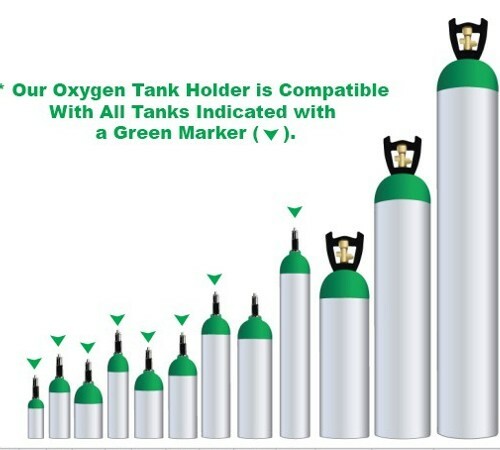 This warranty has you covered! 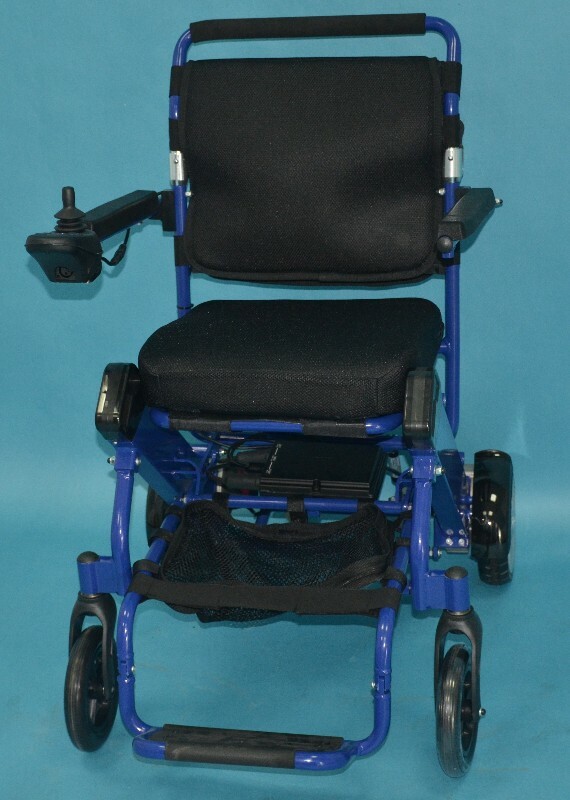 We will send a trained professional repair technician directly to your home in the event your wheelchair should need repair. We cover the entire United States. The map below indicates the location of our service affiliates.